Want to be notified of new releases in pinellolab/STREAM? STREAM (Single-cell Trajectories Reconstruction, Exploration And Mapping) is an interactive pipeline capable of disentangling and visualizing complex branching trajectories from both single-cell transcriptomic and epigenomic data. STREAM is now published in Nature Communications! Please cite our paper H Chen, L Albergante, JY Hsu, CA Lareau, GL Bosco, J Guan, S Zhou, AN Gorban, DE Bauer, MJ Aryee, DM Langenau, A Zinovyev, JD Buenrostro, GC Yuan, L Pinello. 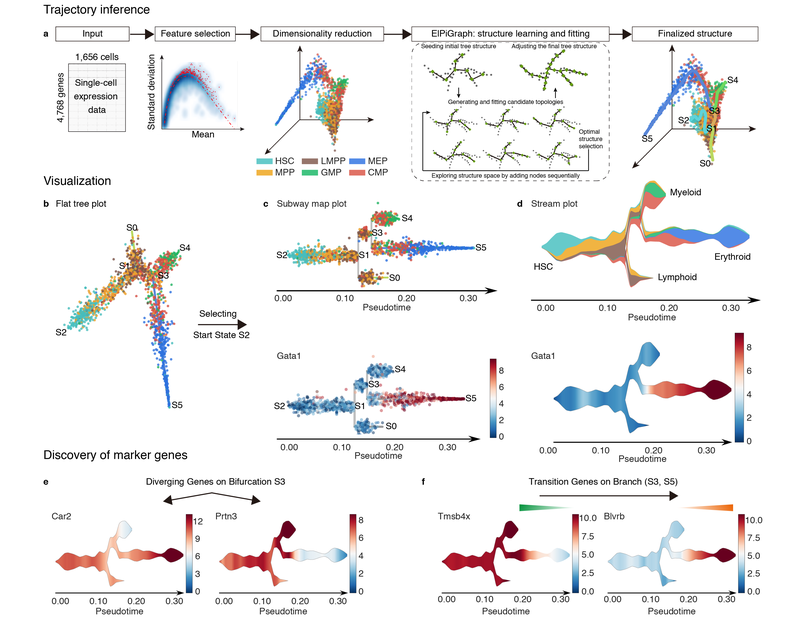 Single-cell trajectories reconstruction, exploration and mapping of omics data with STREAM. Nature Communications, volume 10, Article number: 1903 (2019). if you find STREAM helpful for your research. You should see the notebook open in your browser. 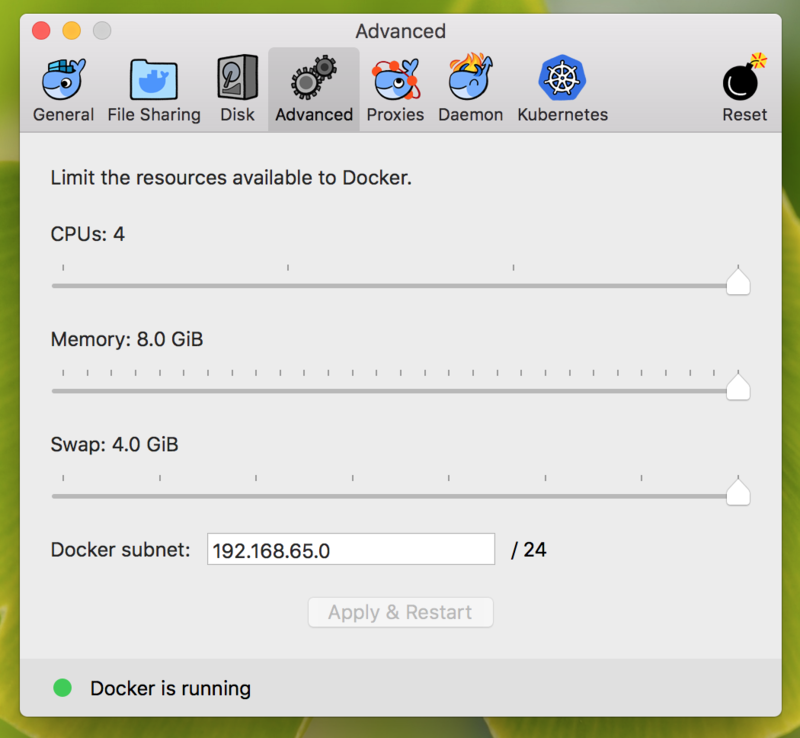 With Docker no installation is required, the only dependence is Docker itself. Users will completely get rid of all the installation and configuration issues. Docker will do all the dirty work for you! Please note that STREAM command line is a streamlined script of 'stream' bioconda package. Some parameters and functions are not supported in STREAM command line. To get a more flexible and advanced analysis, please check out our bioconda tutorial notebooks. Specify the number of processes to use. (default, all the available cores). Clustering method used for seeding the intial structure, choose from 'ap','kmeans','sc'. The main and required input file is a tab-separated gene expression matrix (raw counts or normalized values) in tsv file format. Each row represents a unique gene and each column is one cell. 1)a set of files including count file, region file and sample file. Please note that for large dataset analysis it'll be necessary to increase the default allocated memory of container. To explore the feature mapping, users need to provide two dataset, one is used for inferring trajectories. The other is the dataset that is going to be mapped to the inferred trajectories. Here we take data_Olsson.tsv.gz, data_perturbation.tsv (Olsson, A. et al.,2016) as an example. We assume that all the datasets are in the current folder. After running this command, a folder named 'mapping_result' will be created under the current directory along with all the mapping analysis results. To perform scATAC-seq trajectory inference analysis, three files are necessary, a .tsv file of counts in compressed sparse format, a sample file in .tsv format and a region file in .bed format. (Buenrostro, J.D. et al., 2018). We assume that they are in the current folder. std_vs_means.pdf: selected most variable genes. dimension_reduction.pdf: projected cells in the MLLE 3D space. seed_elastic_principal_graph_skeleton.pdf: the initial structure skeleton with all the nodes and edges. seed_elastic_principal_graph.pdf: the initial structure with cells. ElPiGraph_analysis.pdf: the log of ElPiGraph strucuture learning. elastic_principal_graph_skeleton.pdf: the elastic principal graph skeleton. elastic_principal_graph.pdf: the elastic principal graph with cells. optimizing_elastic_principal_graph_skeleton.pdf: the elastic principal graph skeleton after optimizing branching. optimizing_elastic_principal_graph.pdf: the elastic principal graph with cells after optimizing branching. extending_elastic_principal_graph_skeleton.pdf: the elastic principal graph with cells after extending leaf nodes. extending_elastic_principal_graph.pdf: the elastic principal graph skeleton after extending leaf nodes. finalized_elastic_principal_graph_skeleton.pdf: the finalized elastic principal graph skeleton. finalized_elastic_principal_graph.pdf: the finalized elastic principal graph with cells. cell_info.tsv: cell information file containing branch assignment id and pseudotime. stream_result.pkl: stores anndata object from the analysis. It can be imported later to reproduce the whole analysis. transition_genes_S0_S1.tsv: Table that stores information of detected transition genes for branch S1_S2. de_genes_greater_S0_S1 and S0_S2.tsv: Table that stores information of DE genes that have higher expression in branch S0_S1. de_genes_less_S0_S1 and S0_S2.tsv: Table that stores information of DE genes that have higher expression in branch S0_S2. leaf_genes.tsv: Table that stores information of leaf genes from all branches. leaf_genesS0_S1.tsv: Table that stores information of leaf genes from branch S0_S1.